Our Eureka Mirror is the epitome of sleek, Contemporary style. Its simple oval shape is fashioned from a resin frame. It is finished in our custom glossy orange lacquer. The Eureka Mirror is a perfect accent piece for any design. Hang right out of the box in either a horizontal or vertical orientation. The mirrored glass on this piece is beveled adding to its beauty and style. 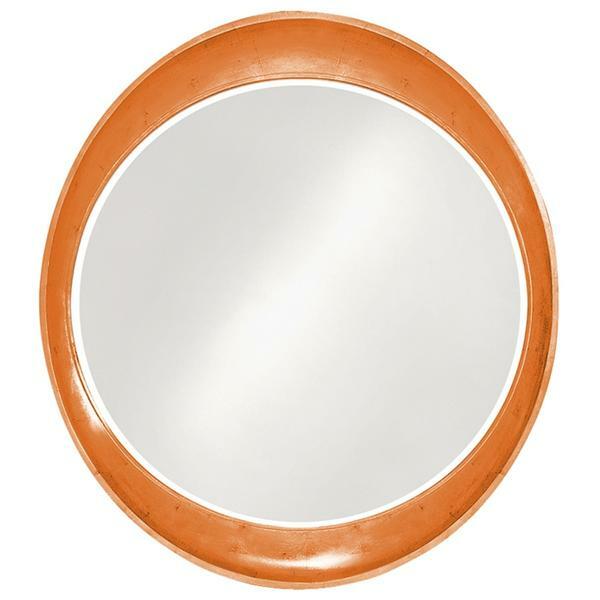 The Eureka Mirror is part of our custom paint program and is available in one of ten vivid colors.